The battery-electric concept has semiautonomous capability. 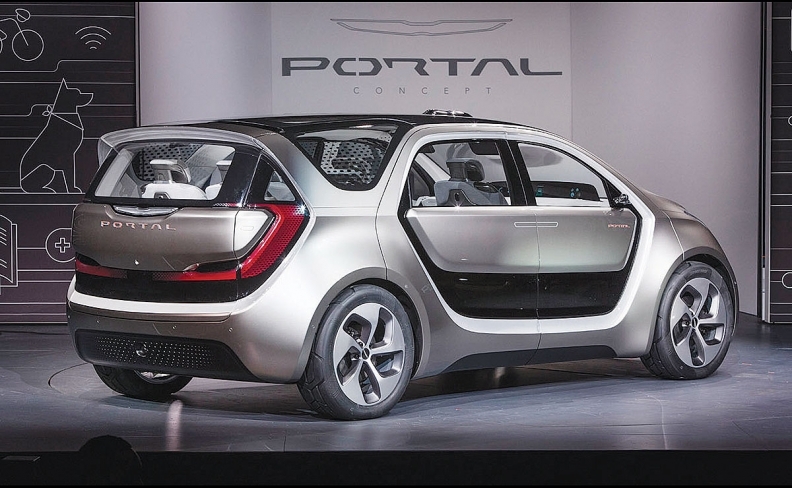 Fiat Chrysler won't hold a press conference at the Detroit auto show this week, but it will display a concept battery-electric minivan called the Chrysler Portal that was unveiled at CES in Las Vegas on Tuesday, Jan. 3. The Portal features pairs of twin sliding doors that open to allow a 5-foot-wide access point to up to three rows of individually configurable, track-mounted seats. The seats can be moved forward and back, or be removed altogether. The semiautonomous-capable vehicle is powered by a 100-kilowatt-hour lithium ion battery pack mounted in the underbody and also uses a single electric motor to power the front wheels. The combination gives the Portal an estimated range of over 250 miles (400 kilometres), FCA said. 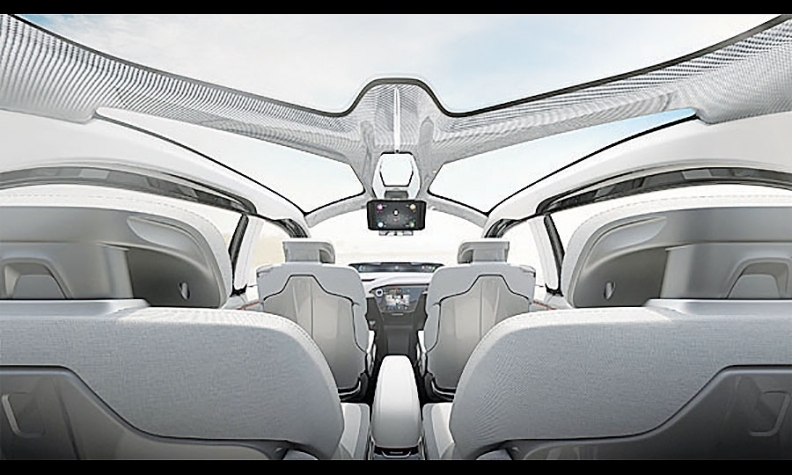 Inside the Portal's reconfigurable cabin, FCA's team of young designers eschewed the traditional steering wheel in favor of a two-handled yoke that recesses into the instrument panel below a dominant video instrument display. Portal's on-board infotainment system and software uses facial and voice-recognition technology to individually arrange settings, including audio and lighting controls and navigation, the automaker said. The Portal is FCA's first pure concept vehicle -- exclusive of one-offs for the annual Easter Jeep Safari in Moab, Utah, or modifications of existing vehicles -- since 2009.